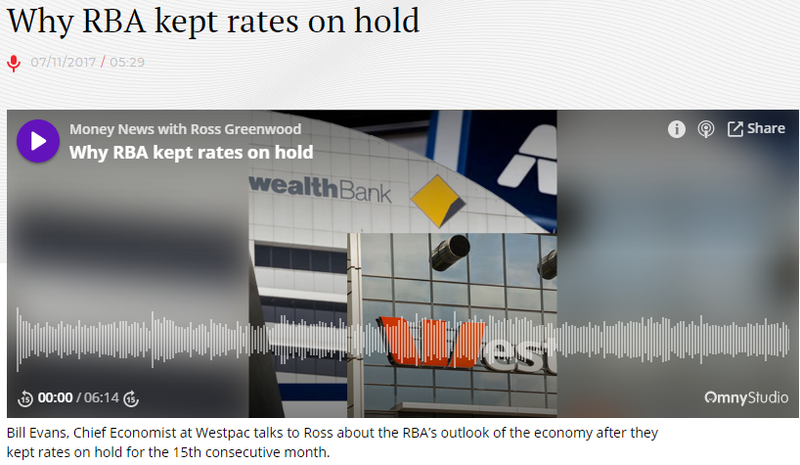 This is a short 6-minute podcast that will help you gain some insight into why the Reserve Bank of Australia has kept rates on hold. Here Bill Evans, Chief Economist at Westpac, discusses what interest rates may do next year. His conclusions are very insightful and should give confidence that there will be no rate rise soon and possibly at all next year. You can listen to the podcast by clicking here or clicking the image below.